Designed to reward musical achievement, this elite festival invites accomplished choirs, bands and orchestras to perform at the world-famous Carnegie Hall on the Ronald O Perelman Stage. Selected ensembles work directly with world-renowned conductors and adjudicators who are also dedicated educators with a passion for passing on their skills and love of music. When ensembles aren’t rehearsing, they’ll get to explore and absorb the culture of New York – a world-class centre for the arts! Day 1 Welcome to the Big Apple! Arrive Arrive in New York City and Check into your Manhattan Hotel. Orientation Get your bearings with a brief orientation session and then hit the town! We can help you select the best dinner option for your group. Sightseeing Spend the day sightseeing! Your package includes admission to your choice of the following: the Statue of Liberty and Ellis Island, the Empire State Building, or Top of the Rock! Broadway Show Directors will attend our special directors-only dinner before heading out with groups to see a Broadway show! Sightseeing You have the morning to catch up on any last minute sightseeing activities you haven't done yet, like China Town, the Highline, or the Financial District. Performance Day! 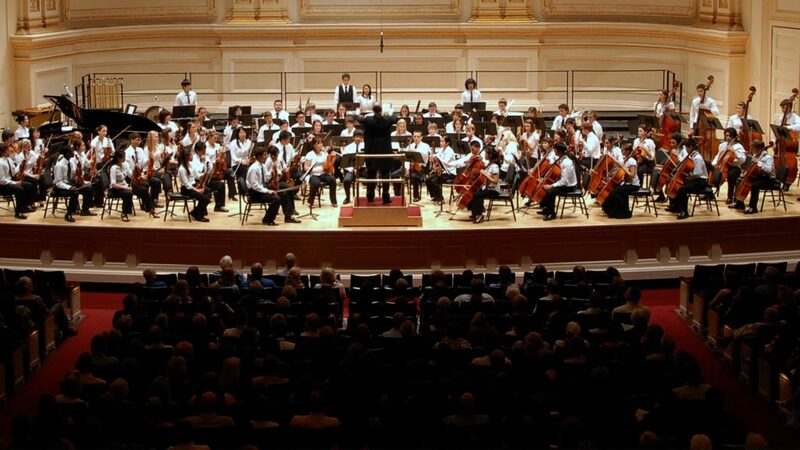 Step onto the Ronald O. Perelman stage in the Isaac Stern Auditorium as you and your students perform at Carnegie Hall! Day 4 Goodbye, New York! Depart After a good night's rest, the choice is yours: depart at your leisure, or consider spending an extra day in The Big Apple! Your Festival Program Coordinator can help you arrange the perfect activities for your group to celebrate their performance at Carnegie Hall! For more information including festival dates and requirements, contact our team today! Thank you for your interest in our WorldStrides Festival at Carnegie Hall Tour! Please tell us a little more about yourself so we can get you sent to the right place.